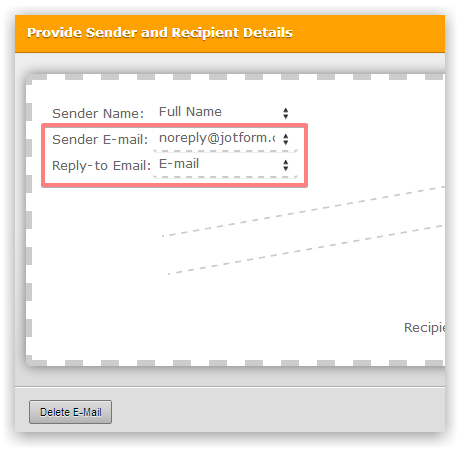 Is there a way to make the form notification email reply to the sender of the form? 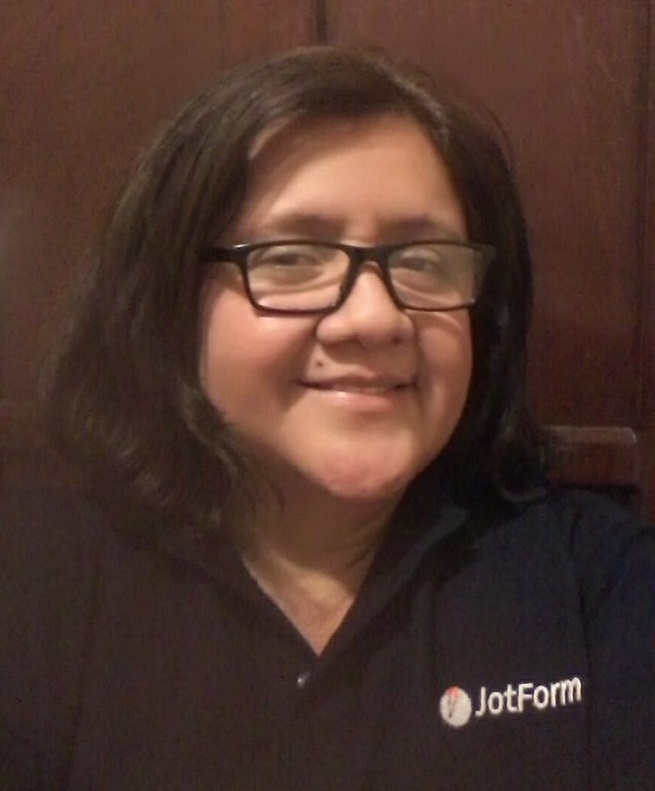 What I mean is when I receive a form and click on reply it goes to the noreply@jotform.com email is there a way to make this go to the form submitter instead? Yes, this is possible. 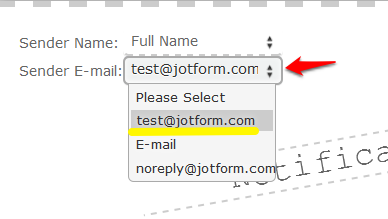 When the Sender E-mail is set to noreply@jotform.com, we show a Reply-to Email option. Please simply change the Reply-to Email to your form email field through Email Notification settings. Also is there a way to change the reply email from the default? So that the reply is from an email address other than the one on my account? "Also is there a way to change the reply email from the default? So that the reply is from an email address other than the one on my account?" 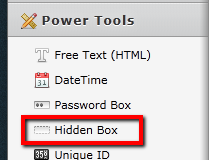 You can create a custom autoresponder with a different email address rather than you primary one. Since this is an old thread, I've opened a new one for you.